Mimsy: Climate priests cry wolf one more time? No, I meant a shark. 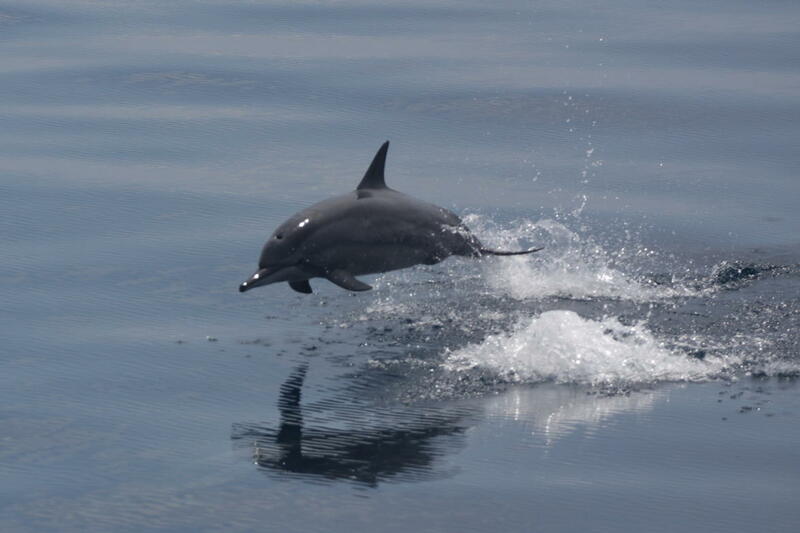 Disguised as a dolphin. With lasers. All because of global warming. It’s getting a bit tedious comparing the occasional global warming article in Science News to the real science articles they run, but the contrast is often so wide it’s hard not to discuss them. In the April 30, 2016 issue there is an amazing juxtaposition between three articles: a nearly-literally fuzzy article about cute white bunny rabbits, a serious article about a potential discovery of a new white dwarf in astronomy, and what looks for all the world like an article from some apocalyptic prophet about how we will not see any sea level rise (unless we do, or unless we see a sea level drop) until about two and a half decades from now when it will SUDDENLY SHOOT UP AND DROWN US ALL UNLESS WE REPENT IMMEDIATELY!!! In 2007, Dufour and colleagues reported a similar strange sighting: several white dwarfs whose atmospheres were loaded with carbon instead of hydrogen and helium. Those also appeared to be missing mass, he says, though the problem was found to lie not with the stars but with the mass estimates. The white dwarfs are heavier than initially thought, and Dufour now suspects that each one arose from a collision between two white dwarfs. It’s too early to draw strong conclusions from a single oxygen-laden white dwarf. “There are lots of open questions before we can say that this changes our view of white dwarf evolution,” Dufour says. And that’s not even all of the contrariness in the very short article about the potentially surprisingly small white dwarf. There’s nothing like that in Thomas Sumner’s global warming article on the facing page. 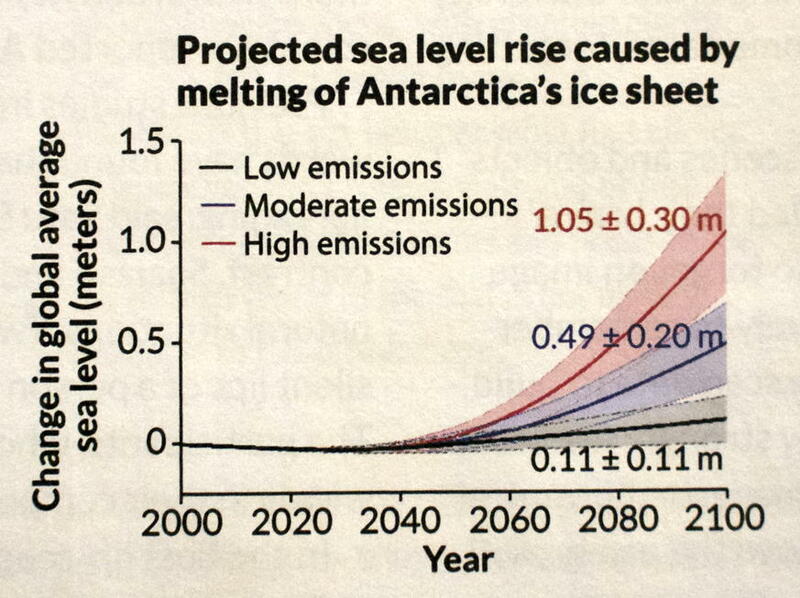 It, instead, ends with an apocalyptic warning about the “dire” consequences of ignoring the graph of rising sea level. But take a closer look at that graph, from a scientific standpoint. That is, the graph is a prediction. In science, we test theories from their predictions. That’s what science is: the study of theories that can be proven false if they are false. So when do we know that the theory behind this prediction is correct? This graph shows no change until sudden rapid change in 2040. Before that, if I’m reading the graph correctly, sea level could drop, stay the same, or go up. The graph provides no means of knowing whether the theory is correct until after we’re supposed to have believed it and repented. Now, it could be that this apocalypse really is going to happen, despite rolling climate predictions failing so often in the past. But if so, this is the wrong graph for the article. It does not add to the science of the story, and this is, after all, Science News. Somewhere in that theory is something that can be used as a measure of the theory’s accuracy. There has to be, or it isn’t science. That’s what should have been used in place of that graph. If climate prophets were to acknowledge that they have failed to perform science, and try to be more faithful in their application of the scientific method, it would bring global warming out of religious apocalypticism and into something that can be trusted as actual science. Instead, it’s as if they’ve recognized they can only cry wolf a few more times before people start completely ignoring them, so they’ve moved all their apocalypses far out into the future so there are no predictions left to fail during the current debate. In response to I believe in Global Warming (and other conversion stories): Conversion stories aren’t meant to convert skeptics; they’re a bonding tale for the converted, a sign of a religion; science needs theories that make predictions about what happens when they’re right and how to falsify them if they’re wrong. Proof for human-caused global warming is always whatever happened last month or last year, never tomorrow. No application of the scientific method can ever disprove it because hindsight is 20/20. 2015 Updated NOAA Tide Gauge Data Shows No Coastal Sea Level Rise Acceleration: Larry Hamblin at Watts Up With That? The abject failure of official global-warming predictions: Christopher Walter Monckton at Watts Up With That? The big list of failed climate predictions: Anthony Watts at Watts Up With That? What if we’re wrong about global warming? What if catastrophic anthropogenic global warming is a big hoax and we starve millions and send billions into misery for nothing? Should the government (and the CDC) fund research into gun violence? Government funded research has held back progress in reducing violence and preventing suicide. Catastrophic anthropogenic global warming critics are more dangerous than oil execs who kill dolphins, and need to be buried deeper than two million year old bones. But this makes CAGW a non-science. Science requires criticism or it isn’t science. Science-oriented media outlets are doing CAGW scientists a disservice by protecting them from competing theories. Climate priests cry wolf one more time? last modified July 12th, 2016.